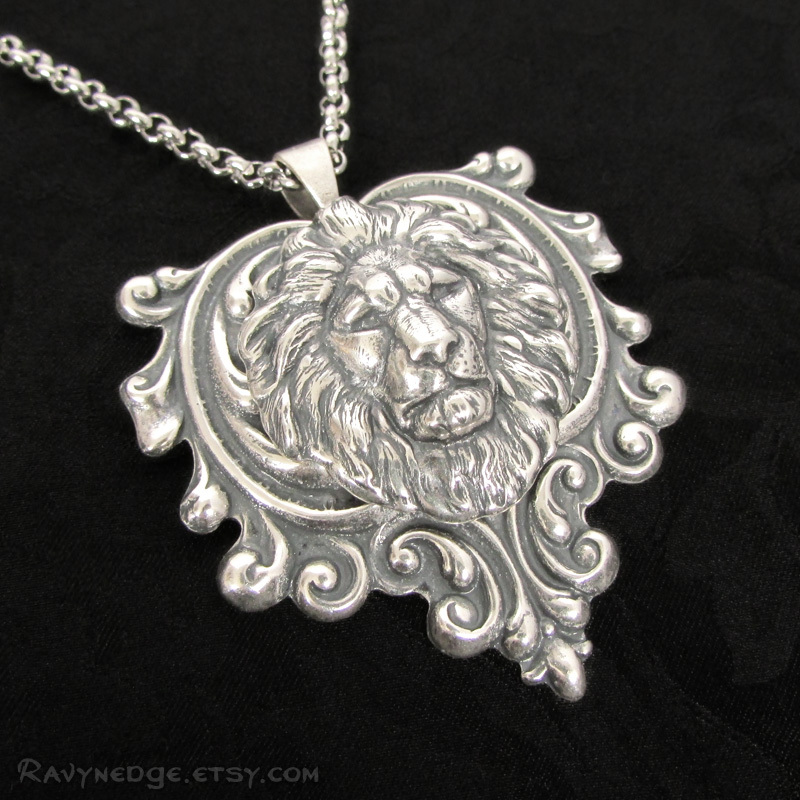 Lionheart Necklace - Silver Lion Head Pendant by RavynEdge. 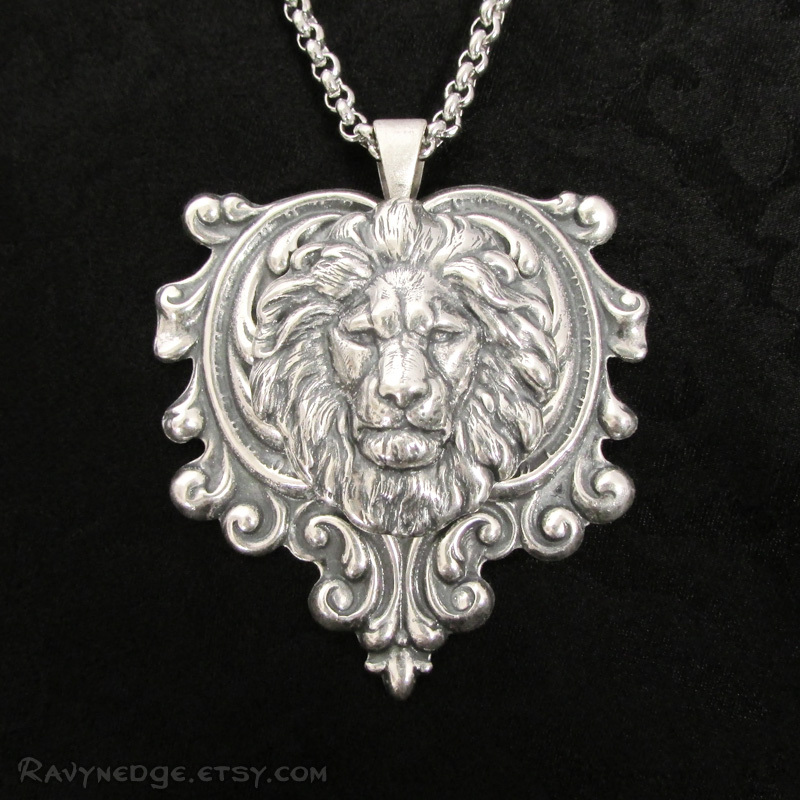 Become empowered with the strength and courage of the noble lion. 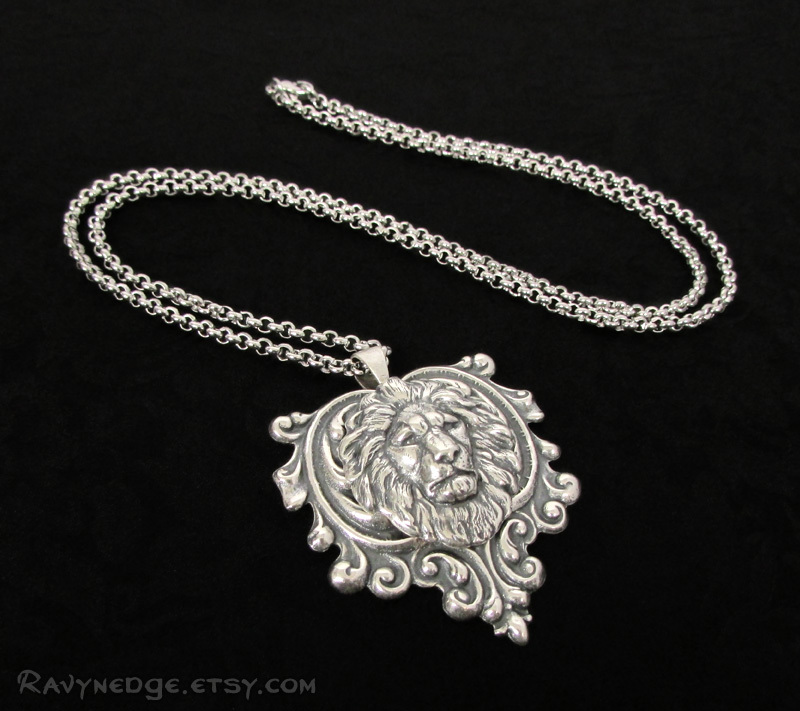 This necklace features a majestic lion's head surrounded by swirls that extend his mane and resembles a heart. Wear it alone or layer it with other necklaces. 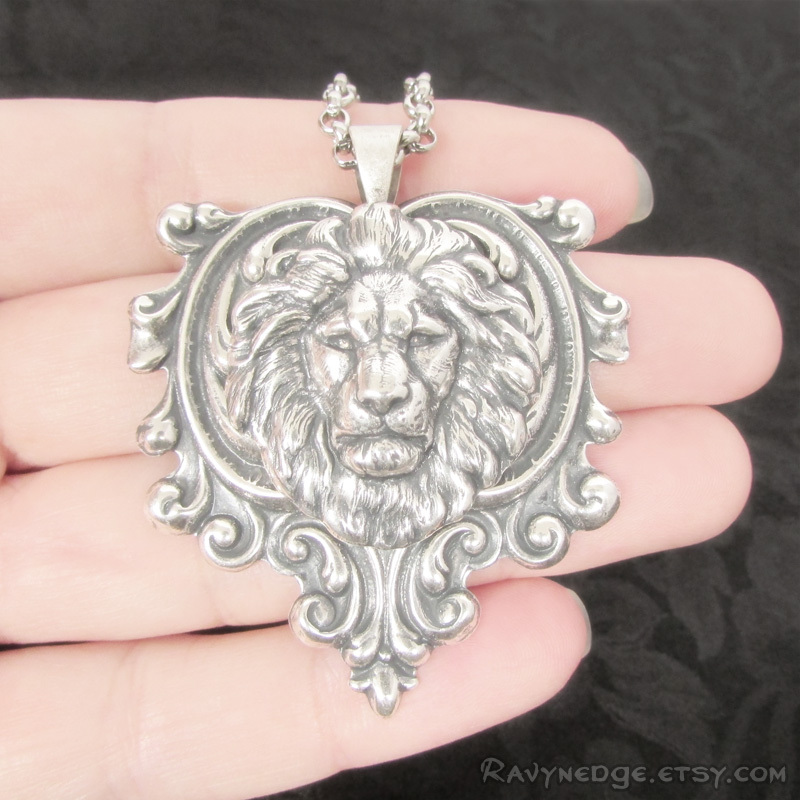 The pendant measures approximately 2 inches (50mm) tall and 1.7 inches (43mm) wide. 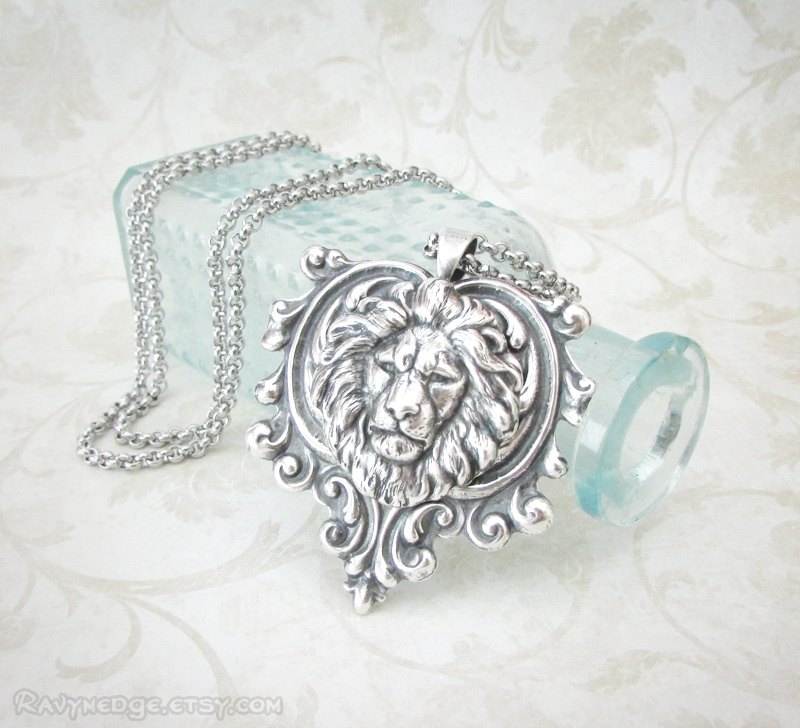 It is made with sterling silver plated brass filigree, oxidized to bring out the exquisite details. The durable and tarnish resistant stainless steel rolo chain measures 24 inches (61cm) and closes with a lobster clasp.